If you are like most people, your family is growing and changing, your career is heading upward, your 401k is doing well, and you may have even invested in a second home or recreational vehicle (RV). Regardless, we live in a world where lawyers outnumber doctors five to one. A personal umbrella can offer peace of mind in a crazy, litigious world. An umbrella policy can protect you from litigation that may come out of an auto accident or some other property damage or personal injury. 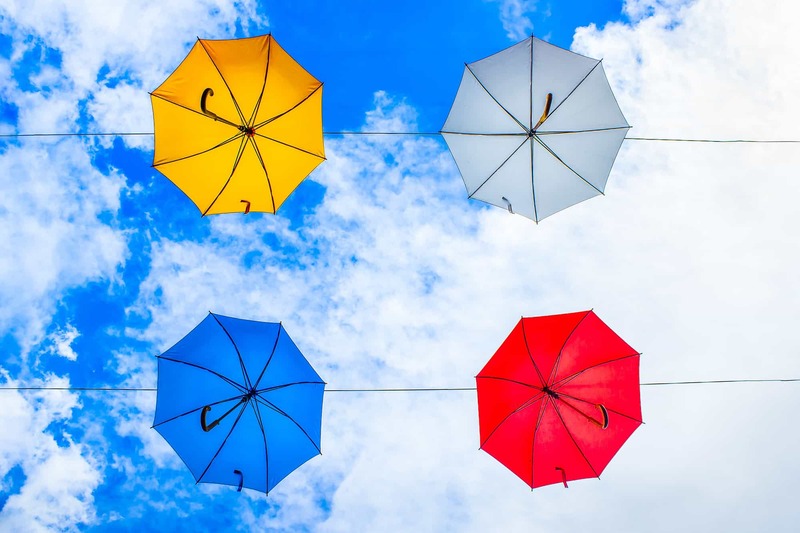 Why It Is Time for You to Consider a Personal Umbrella Policy? We live in a very litigious society and homeowners and renters are being sued at a high rate. Even if you are in the right, you will still have to defend yourself. Defense costs can run $250 to $500 per hour depending on where you live. State laws are creating greater financial responsibility for the owners of vehicles, RVs, motorcycles, ATVs, and jet skis. How Much Should You Expect to Pay for a Personal Umbrella Policy? Each situation will be different, but a personal umbrella policy can be very cost effective. Premiums can start as low as $100 for a $1,000,000 worth of coverage. Your premiums will depend on a number of factors including how many vehicles, homes, rental properties, and guns you own, plus other considerations. Does a Personal Umbrella Policy Have Exclusions? A personal umbrella policy can be designed to cover rental property. Coverage could include insurance for third party claims that occurred on your rental property. We recommend an umbrella policy if you own any rental property. In the case of a rental property business, the insurance cost can become an expense for tax purposes. • Your dog bites your neighbor. • A child is injured in your swimming pool. • A third party falls at your rental property. • You are in a five-car accident and you are at fault. • After your New Year’s Eve party, a guest drives drunk and injures someone. • You accidentally shoot a hunter during deer season. • One of your Yelp reviews is incorrect and you are sued. • Your deck collapses during a party and 15 people are injured. • Your teen driver slides off the road during a snowstorm and inures a number of people. • You served food at a party and your guests got sick and were rushed to the hospital. The best way to purchase a personal umbrella policy is through an independent agent like us. We have access to many markets and can offer the best possible combination of coverage, price, and service. Call us today. You will need to have a list of your properties, vehicles, and boats, and let us know if you are involved in any nonprofit work. To save money you can combine your policies with one insurer or consider increasing your deductibles. We recommend at least $1,000,000 or more of coverage to protect yourself and your family, depending on your individual circumstance. In order to obtain a personal umbrella, you will need at least $300,000 of primary coverage. Coverage is very reasonable.